The winning combination of fresh quality produce, a dynamic menu and friendly service have contributed to the success of the Greens restaurant brand. 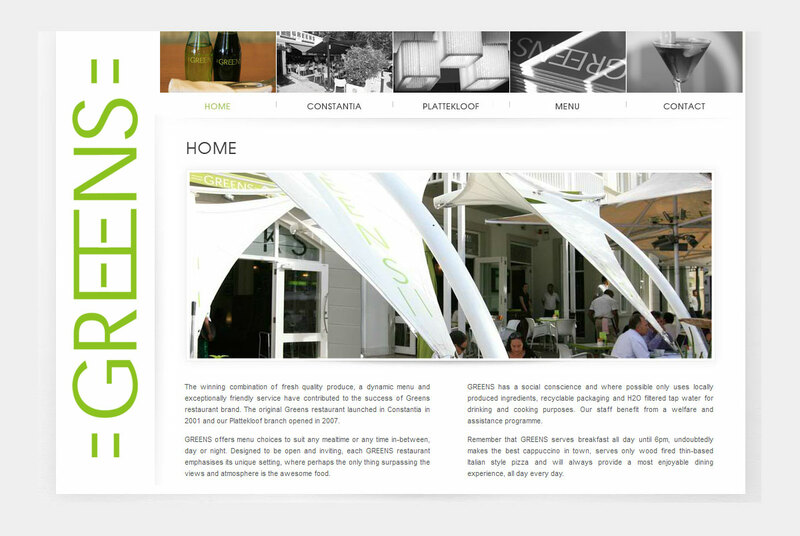 Webfactory developed a fresh looking website to match the Greens brand, incorporating seductive sights and sounds from the four restaurants. The design site reflects the casual yet chic atmosphere and incorporates Flash animation throughout.